This week we grieve the loss of a wonderful man who made a tremendous impact in Plant City. 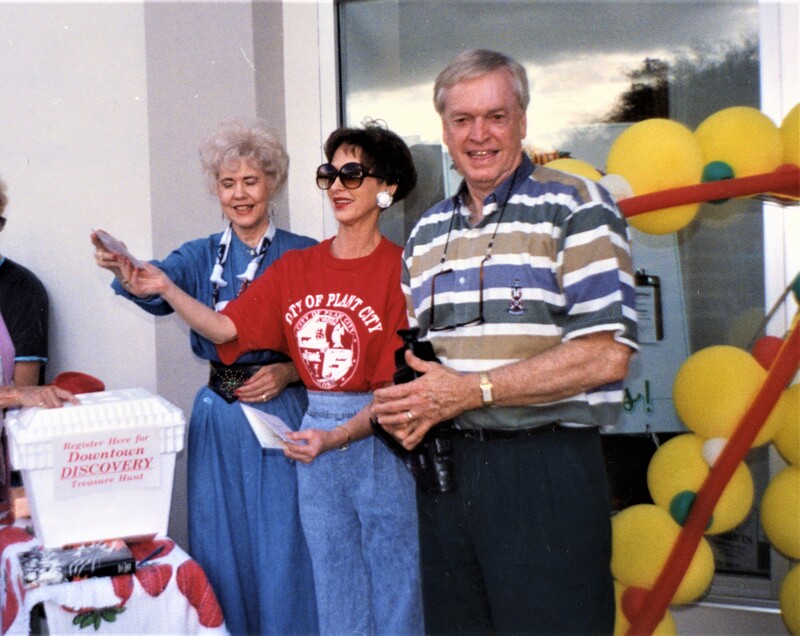 Not only was Al Berry the voice of local radio for decades, the 1998 Citizen of the Year and an Associate Director for the Florida Strawberry Festival; he also was a past board member, vice president and interim president of The Greater Plant City Chamber of Commerce. Al stepped in as interim president in 1994, shortly after the Chamber moved its headquarters to the old McCrory’s building on Evers Street. When Gil Gott was hired in 1995 Al came on board as the Vice President and was responsible for membership, publicity, and special events. “He kept me so busy when I first started, running me all over town to introduce me to people. He knew everyone!” reminisced Gil. As Vice President from 1995-97, Al put together a membership drive that brought in a record number of members. He organized a weekly live radio show from his office, where Gil and Al would talk about activities and events. The Courier ran a weekly column and Al or Gil would write about Chamber matters. They also wrote a monthly column in The Courier and inserted or mailed a monthly newsletter – Al arranged all of these. In 1996 Al had the idea for an air show and promoted the first Strawberry Air Fest in 1996, which ran until around 1998. Having good contacts at Walden Lake, Al arranged for the Chamber to sponsor matches at the Polo Grounds, and the Chamber had a regular tent at the matches. He also had developed a relationship with the Paso Fino Horse Association and came up with the idea for an annual Paso Fino Horse Show at the Walden Lake Arena, which brought equestrians from all over Florida and South America. With his contacts in politics and government, Al was a charm to have on trips to Tallahassee. He escorted the Plant City contingent leaving no detail out. If you had the pleasure of knowing Al then you know he passionately loved his family and the Plant City community. The family will receive friends on Friday, June 22 from 6-8:00pm at First Baptist Church Plant City, 3309 James L Redman Parkway. A funeral will also be held there on Saturday, June 23 at 11am. Committal with military honors to follow at Hopewell Memorial Gardens in Plant City.